Property and red tape, two concepts that often go together. CIS, ATED, Non-Resident Landlord Tax, these tax rules connected with property can be a minefield for the inexperienced. It is important to find a way to minimise your HMRC liabilities. mgr has a specialist property team. Tax advice is a key part of our service to property investors, developers and professionals. We make sure that every aspect of your business is structured to minimise your tax exposure to property sector-specific taxes and, of course, to Corporation Tax, VAT, Capital Gains Tax and Income Tax. We have a large number of long-term professional relationships with many individuals and organisations in the commercial and residential property sectors. We work with investors and architects, property professionals (including commercial and residential estate agents), and planning consultants. We can also help raise finance for buying and selling property, and business structuring. Then, when the time comes to reap the benefits, we can help you devise the most efficient exit. mgr works with numerous businesses, professionals, property investors and developers becoming a trusted adviser on all aspects of their business lives. 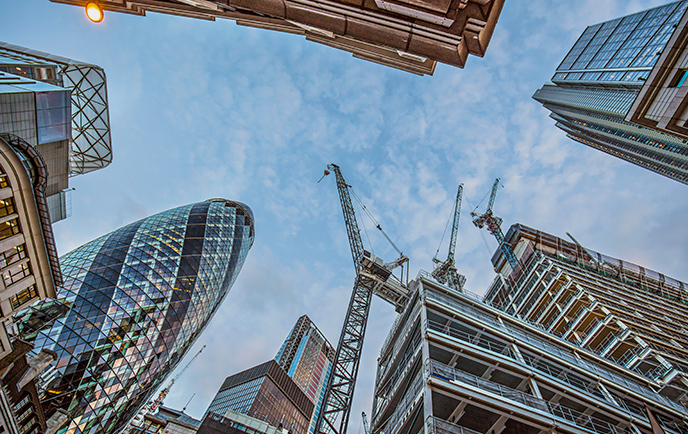 Whether you are a construction company seeking to structure the accounting and tax aspects of a new acquisition or an estate agent who manages clients' properties, mgr can help. Many of our clients who manage successful property businesses also ask us to make sure their personal finances are fully aligned with those of their organisation. They are often high net worth or non-dom individuals. Whatever your property business, we can help you with an array of services including personal wealth management and investment, retirement and succession planning, and Income Tax, Inheritance Tax and Capital Gains Tax issues. At mgr, we always try to give you the information and advice you need in a way that is simple to understand and implement.